I think I’ve got this Facebook filter thing figured out so I’m sending a secret post to all my Christian friends who are putting on the armor of God and going to battle in the holy war on Christmas. There’s been much to do on our favorite “news” channel Fox News that there is a war on Christmas by people saying, “Happy Holidays” instead of offering animal sacrifice and bowing down to praise Jesus and saying, “Merry Christmas”. Well, don’t get upset when one of your pagan, heathen friends wishes you “happy holidays”. The etymology of “holiday” is derived from “holy day”. So we tricked them! They have no idea they’re actually saying john 3:16 when they say “happy holidays”. We win again! Share this post in the next .0002 of a second and God will give you $10,000,000,000 in unmarked bills, a can of spam, and a unicorn!…whoops, too late; God will now send the fleas of 1,000 camels to infest your sweaty God-forsaken armpits. 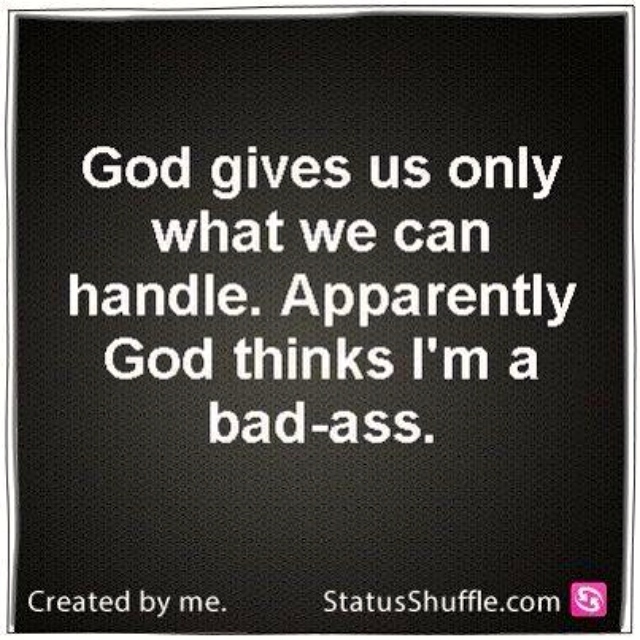 Now for a little bit of sanity…my disclaimer. It’s almost as if Christians feel like they are Ralphie and have been bullied by the big bad culture, Scott Farkus, long enough so now they’re coming out swinging. If you don’t know the entire above post was lathered in sarcasm and a bit of tongue-in-cheek then you don’t know me very well. Let me put it another way…this post is a joke! We (humans) need to focus on the things that actually matter: racism, poverty, homelessness, those without access to medical care, and hunger (among other broken issues/systems). I think all that will keep us plenty busy. If this post pissed you off..take a step back, take a deep, cleansing breath and lighten up. …”You shall love your neighbor as yourself.” Mark 12:31. That’s kind of a big thing to remember seeing as Christ said to love God and lover our neighbors and there are no commandments greater than these. 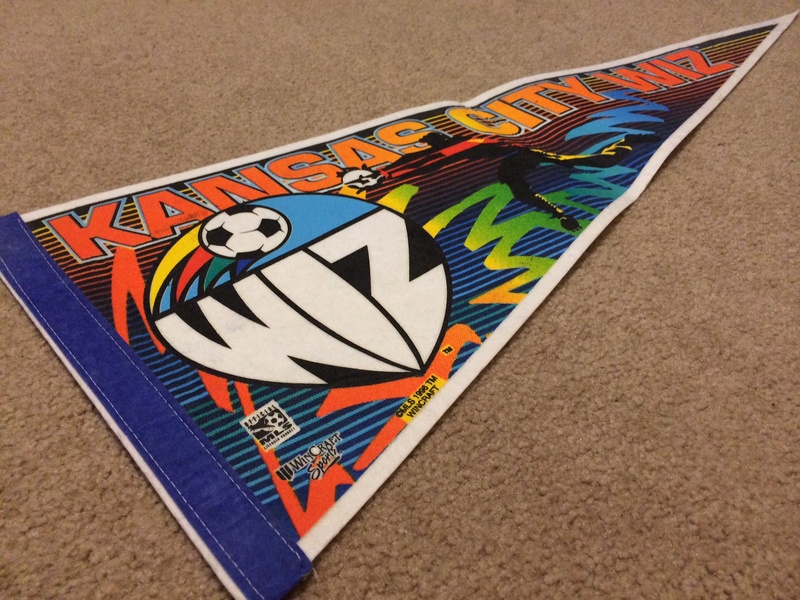 I attended the very first Kansas City Wiz game in 1996. I always thought it was funny when the Kansas City Wiz played the Dallas Burn. It was a favorite game of urologists. The Wiz were forced to change their name to the Wizards in 1997. The Urologist union had nothing to do with forcing the name change. A computer company in Baltimore was actually the reason they had to change their name. “Nobody Beats the Wiz” is evidently true. The Wiz and Wizards played all their games in cavernous Arrowhead Stadium. The Kanas City Wizards normally averaged around 10,000-15,000 people per game. 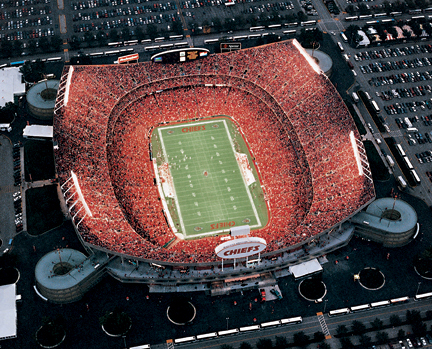 When you put 15,000 people in Arrowhead it seems like a drop in the proverbial bucket. The largest crowds to watch the Wizards would always be when they brought in Michael W. Smith to play a concert after the Wizards game. 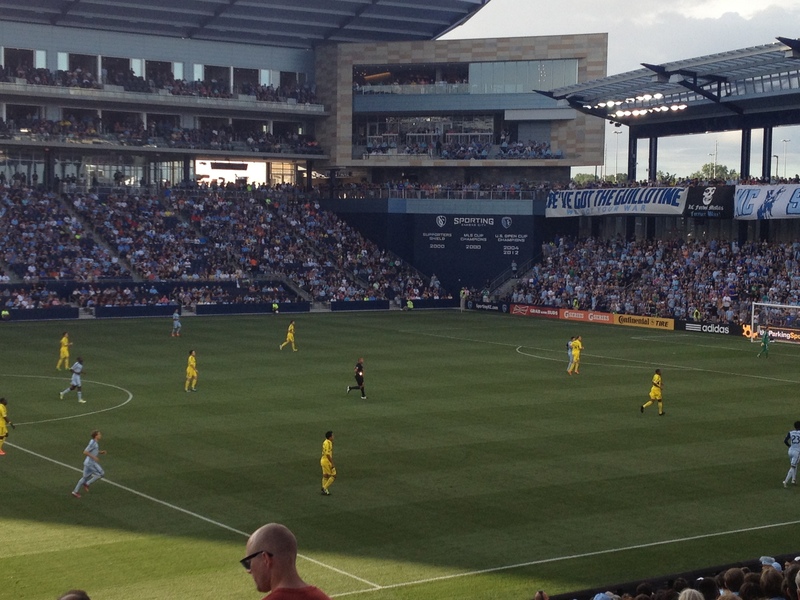 Those crowds would top out around 30,000; which is alot for a soccer game in the United States. The noise factor for the Kansas City Wizards at Arrowhead wasn’t a big factor because the noise drifted skyward. …Back to Christians and soccer fans. 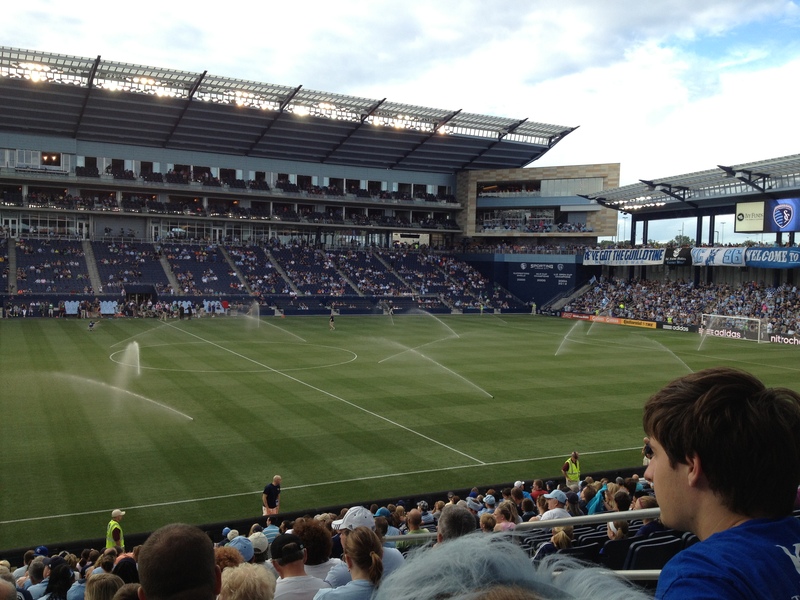 Talk about two worlds (subcultures) colliding at Arrowhead- Christians and soccer players. I’m not saying soccer players aren’t Christians. I’m both a soccer player and a Christ follower. What I am saying is soccer players tend to be a bit more experimental towards…well, everything; and soccer players come from all walks of life and ethnicities. Christians, while they also come from all ethnicities, are still very segregated when they all come together. Roll a ball out and all soccer players no matter the ethnicity joining in will start playing. Throw a bible in the middle of “Christians” and Christians will spend time sharing what they disagree with. I am not a fan of Michael W Smith’s music. Cheesy Christian music is not my thing. But when I stuck around one time to listen to one of his concerts after a Kansas City Wizards game, I laughed hard at his self-deprecating humor towards one of his hit songs, “Friends are Friends Forever”, during the concert. He made the comment that he was absolutely sick of the song but knew he would be booed if he didn’t play it. Fast forward to the year 2000. I sat in a bar in Overland Park (Kansas City suburb) watching the the Kansas City Wizards win the MLS Cup championship. 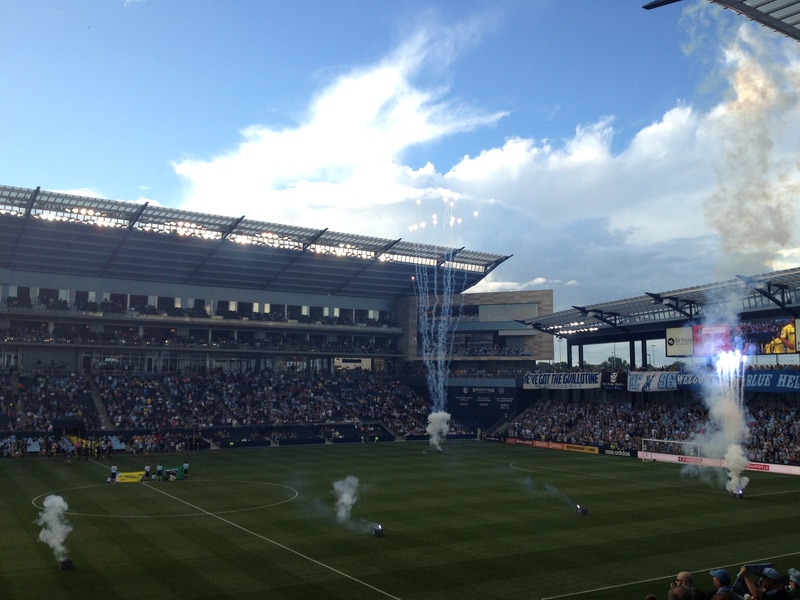 I actually prefer the name Wizards over Sporting KC. 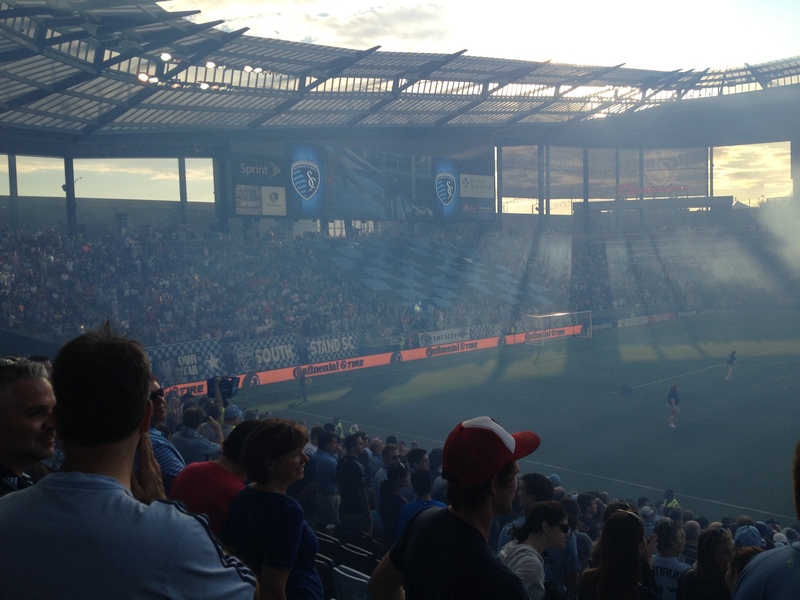 But I prefer the ownership and organization of Sporting KC over the previous ownership group. 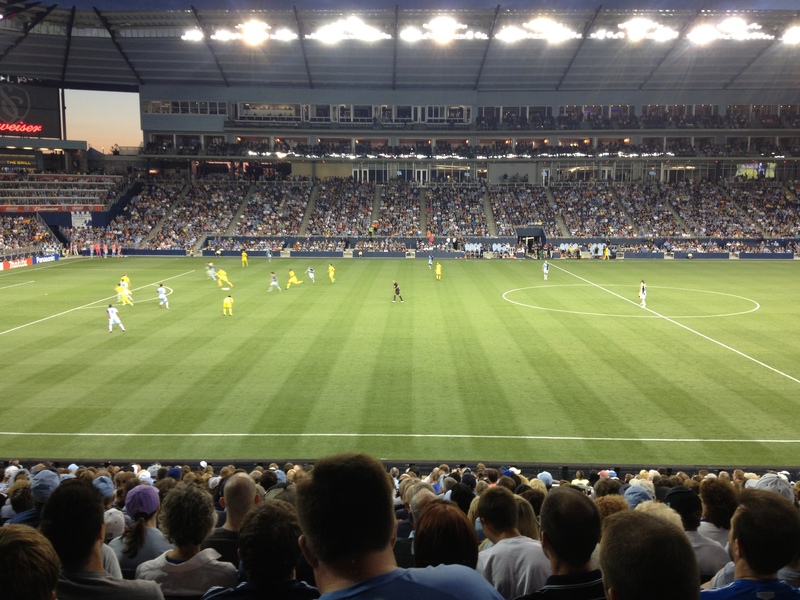 The Hunt family was a fantastic ownership group that brought soccer to Kansas City but Robb Heineman has been even better. Considering how successful Robb Heineman has been with the club he could call the club “the one legged pink flamingos” and it would still be cool. No offense meant towards one legged pink flamingos. 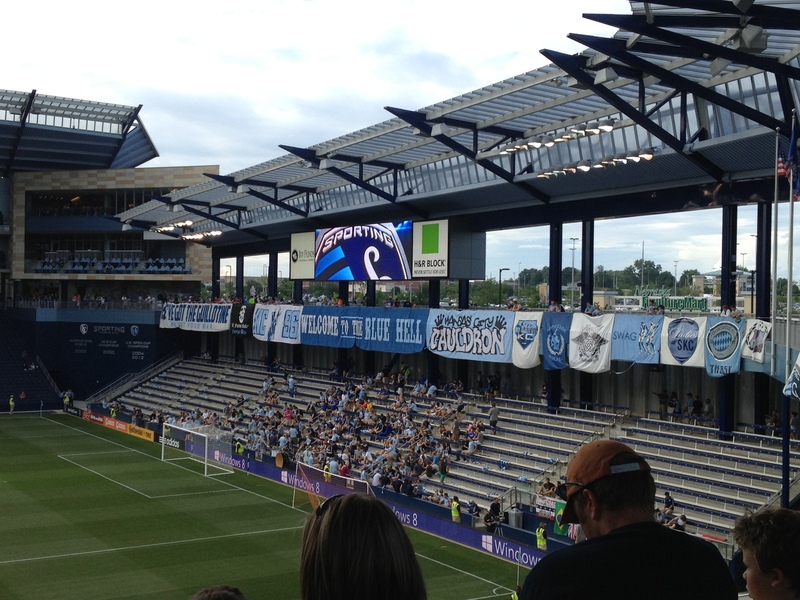 The ownership of Sporting KC flat out gets it. 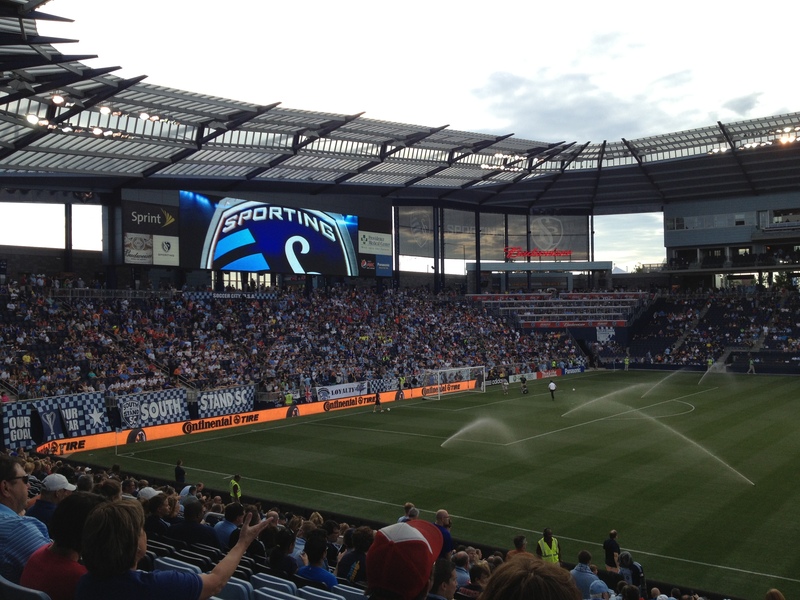 Sporting Park (where Sporting KC plays) is flat out awesome! I guess I like saying “flat out”. I presume it’s because I’m from Kansas and everyone thinks Kansas is flat. If you believe that is true for every inch of Kansas you’ve obviously have never been to Kansas. 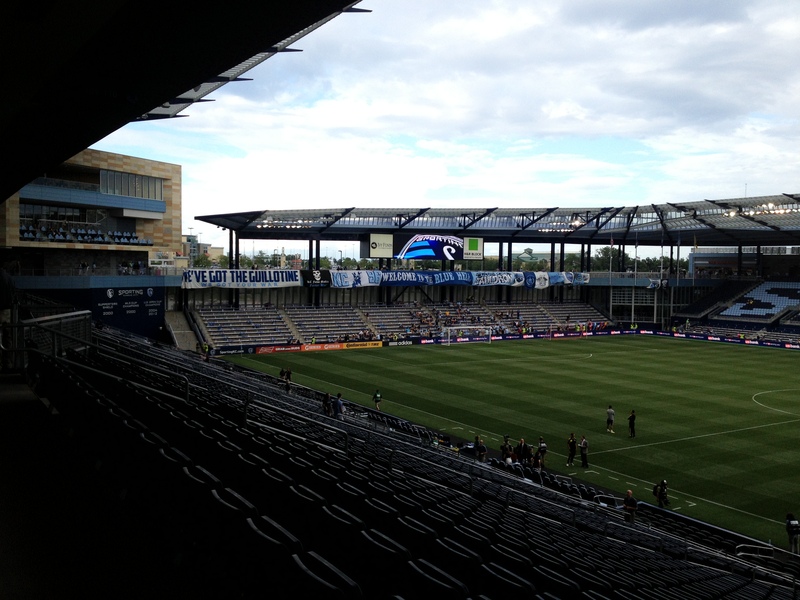 Sporting Park is not cavernous, but it is VERY loud. 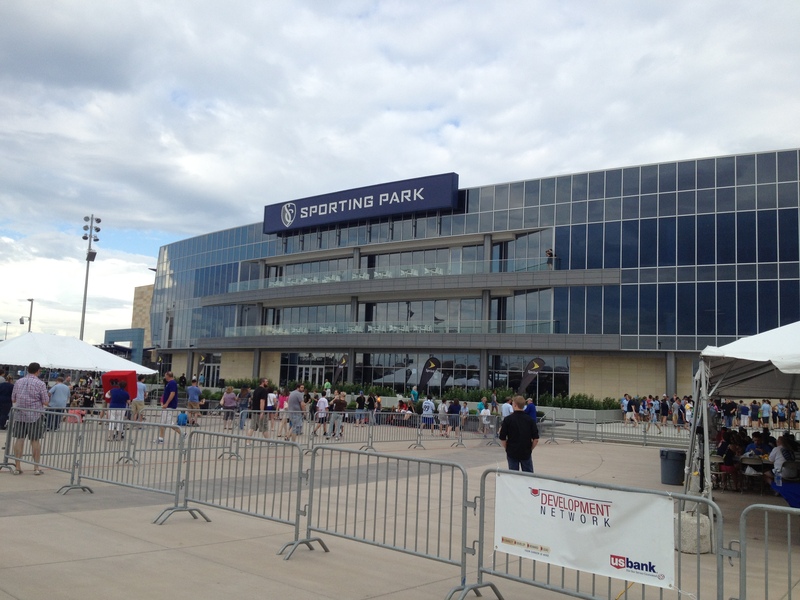 In fact, Sporting Park is perfect. It seats 18,467 very loud fans. At most games there are 19,000+ fans in attendance. Don’t tell the fire marshall. More sports venues might be trending towards smaller stadiums/arenas, etc with TV/home becoming a more popular (read cost effective) venue for watching games. I can’t believe how far soccer in America and the MLS has come. I remember training as a freshman in high school and our soccer team being called homophobic slurs by the football team…because we play soccer. I also remember my first high school coach having to be restrained from going after a high school football player (twice his size) because the football player was making the homophobic slurs towards us. I am looking forward to seeing how far our society can progress towards a less phobic attitude towards things that are different or things we don’t understand. We need to have tough conversations about a lot of things to make our society better. But it was a pretty good empire after people worked on it a bit. 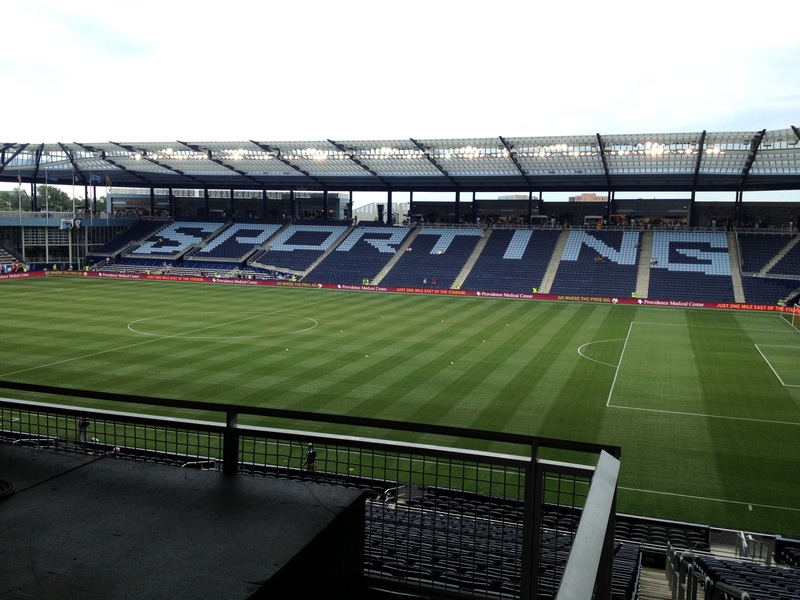 For today…let’s bring the Cup home to Kansas City! Sidenote: My attempt to show my Kansas City Wizards Tony Meola and Preki bobble head doll, which is being kept in the attic, was thwarted due to the ice in my driveway which prevented me from pulling the cars out to get into the attic.